I really love the release of the traditional Menghai recipes. I couldn't sleep properly one night, and found myself awake at 3 a.m., downstairs at the tea-table, ready to taste the 2009 version of this old favourite. This being 7542, the leaves are medium-sized fragments from medium-sized leaves. You get a few tips in the blend, but mostly it's just middle-grade leaves. This isn't a bad thing, because they taste great. Even under the artificial pre-dawn light, they look appealing. The smell is pungently sweet. The consistency of the blend from year to year is quite remarkable, given the variability of harvests. The aroma is encouraging: it is crisp, sweet, powerful, long, and, perhaps happiest of all, familiar. Familiarity is half of the charm of this old friend, along with its uncompromising brutality. After spending too much time drinking cakes that have been tweaked this way and that in order to seem more instantly appealing, I appreciate the down-to-earth honesty of 7542, which is a figurative kick in the groin as far as potency goes, but nonetheless enjoyable. After drinking "dumbed down" tea for so long, it's really refreshing to have the 7542 shouting at you from the cup and calling you rude names. 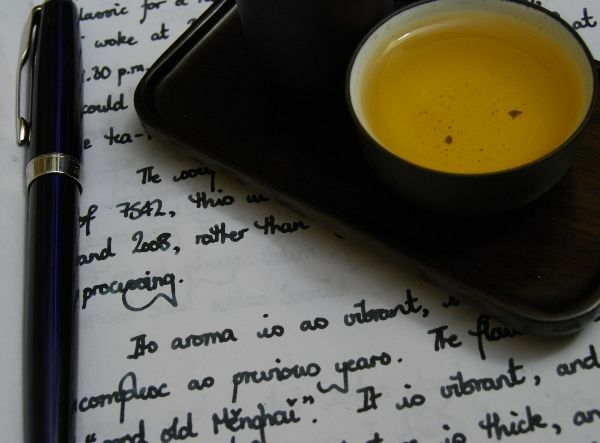 It's yellow with a hint of orange, courtesy of its one- and two-year-old blended maocha. This year's 7542 is definitely 7542, but it is the tinest bit sweeter, the tiniest bit higher, the tiniest bit less chunky than previous years. As always, the kuwei [pleasant bitter-taste] always stays just on this side of enjoyable. They say "only mad dogs and Englishmen go out in the midday sun", and I'm sure something equivalent can be said of people that enjoy drinking 7542 while young - but I count myself among their grizzled, crazed number. I love the freshness, the challenge, all wrapped up in that delicious Menghai fresh-straw-and-sweet-mushroom character that they manage to recreate so successfully each year. While having plenty of kuwei, there is no sewei [SIR-WAY, astringent-taste], even though I used tons of leaf. It has all of the complexity that one hopes for in 7542, with all manner of floral hints tucked away in the finish. Aged 7542 and 7532 (first son, and first daughter) are some of my favourites for just this reason, as they often seem to have more to offer than, for example, elegant little 8582 (second daughter). 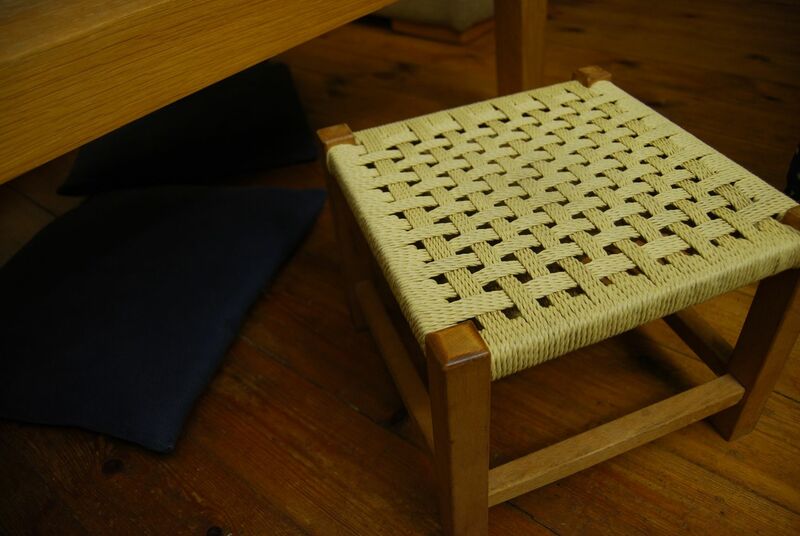 I sit on a tiny little stool in the conservatory, lights dimmed. It's raining hard outside, and I sit in the peace and quiet of the 5 a.m. morning listening to the raindrops hammering against the windows, the wind howling through the treetops. No-one else is around to hear it, no cars are on the roads. Wind, rain, and me. Another good year for 7542, for all is minor nuance of character. I often wonder why I bother chasing other low-end teas, when the inexpensive Menghai classic recipes thrill me so greatly. I have been drinking various Dayi cakes from 2008 and 2009 lately, stored in our house, and this is by far the most fragrant. It has a low, thick sweetness that lasts well in the wenxiangbei. Similarly, the flavour is dark, thick, and rich. 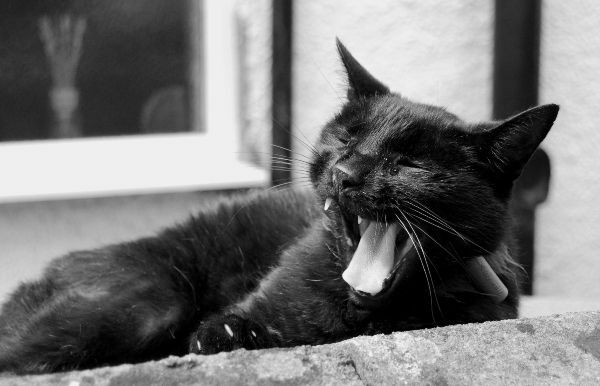 Perhaps I am just in the "right mood" for tea - it is 4.30 a.m. and I cannot sleep. Dayi tea is fascinating: it is obviously basic, and yet it is so obviously good after a few years of aging. I even like it raw. 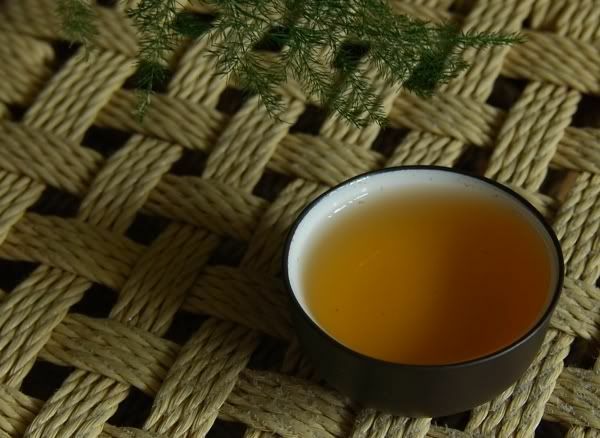 It is a work of considerable skill to make a decent tea, and one that is so stable and reliable, from such raw materials. This 7542-901 is deep and husky, and has the heaviness of Dayi aging. Sentence after sentence, the huigan endures in the throat. 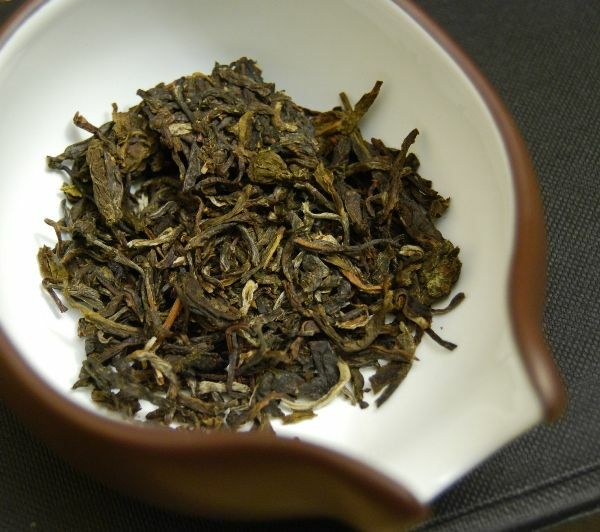 It has roughness, because it is taidicha [plantation tea], but it is so very enjoyable that we must forgive it such flaws. It is, after all, extraordinarily good value. 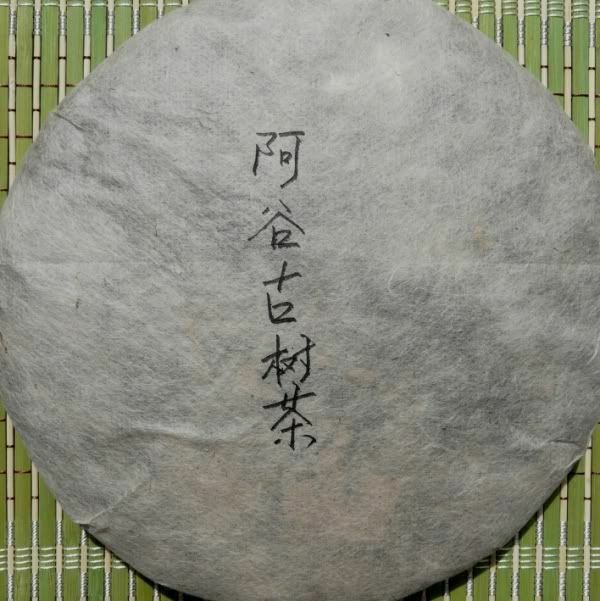 "A Gu Lao Shu Cha"
The production description reads that Aguzhai [Agu Small-Village] is in the Bulang range, and that this cake has been aging for the past three years in Jinghong, the capital of Xishuangbanna. I could find no information concerning its producer. It always pays to have several sessions with a cake. Time and time again, I have been overjoyed during the first session, only to become slightly less impressed in subsequent sessions - this was particularly true for my time with the Agu Laoshu. Take a look at the chunk above: the leaves are small and thin. They have a strong, sweet aroma that bodes well. The claim is that they were picked from 200-year-old trees. During the first session with this tea, I was impressed. 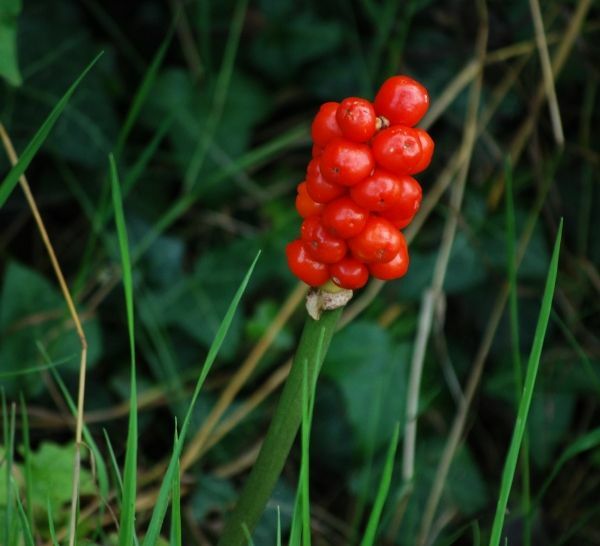 I found that it had a heavy flavour of sweet leather, which swelled swiftly into a long huigan. It had a good, clear tone of kuwei [pleasant bitter-taste], which supported the huigan. It was pleasantly chunky, thick, and particularly caffeinated. The whole affair was clean, well-defined, and potent. In the second session with this tea, I was less impressed. It didn't stand out as being the obviously delicious cake that it had first appeared, and had traces of maltiness, with red-edged leaves. 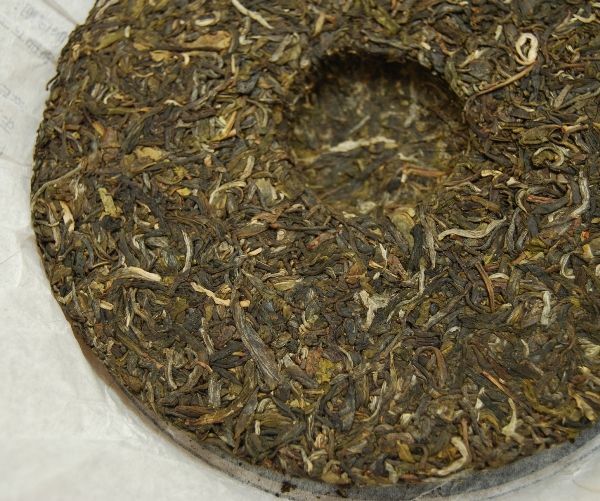 I am left inconclusive; whereas I originally considered putting in a rush order to Yunnan Sourcing, having been thoroughly charmed, I now am considering tacking on a single cake to the end of my next order. Tastes are fickle. Perhaps I need a third session to arbitrate. This cake is evidence that I went temporarily crazy with my Xiaguan last year. 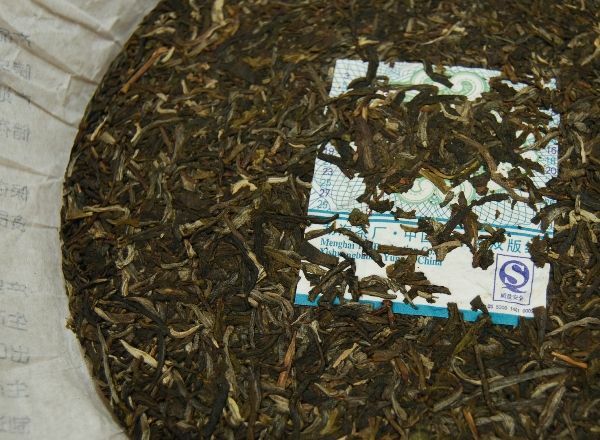 It's all over Taobao like a rash, where it costs next-to-nothing, like Haiwan's "Laotongzhi", and like the 2009 CNNP releases (which I maintain is where modern maocha goes to die). Thankfully, it's just a single cake, and it didn't cost a huge amount. I have definitely learnt a lesson. Jinse 8100: where be the gold?! 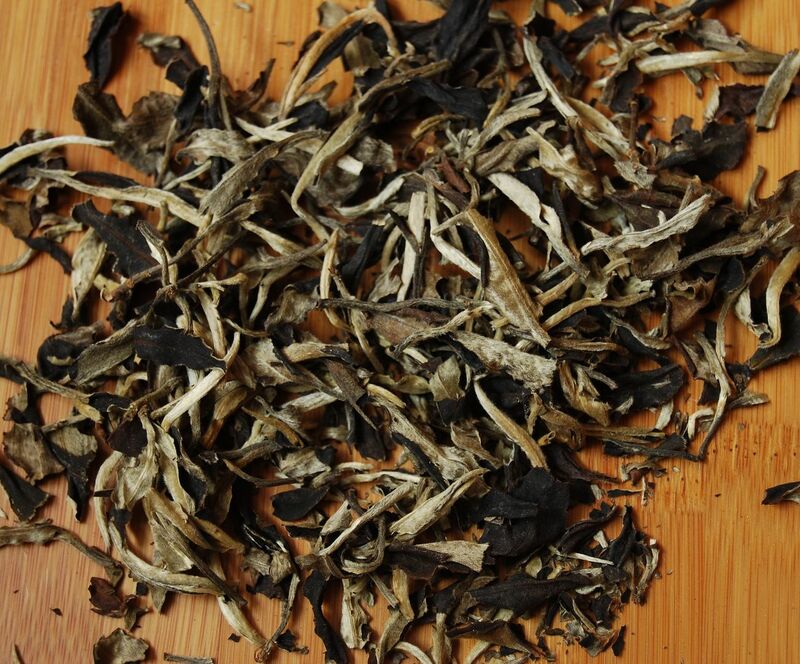 Yunnan Sourcing notes that this recipe was first seen in 2007 as a 250g tuocha, and that this is its first incarnation as bingcha. 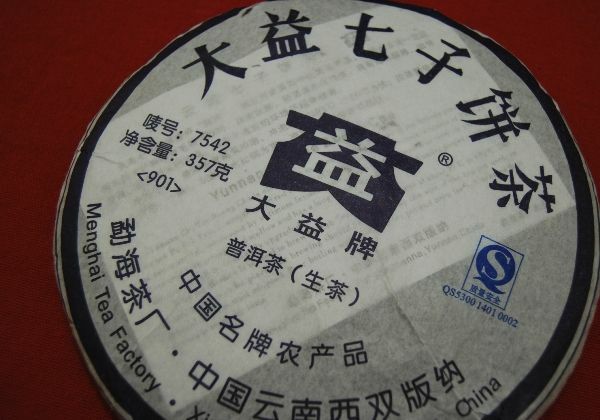 It is made from spring 2006 and 2007 maocha. 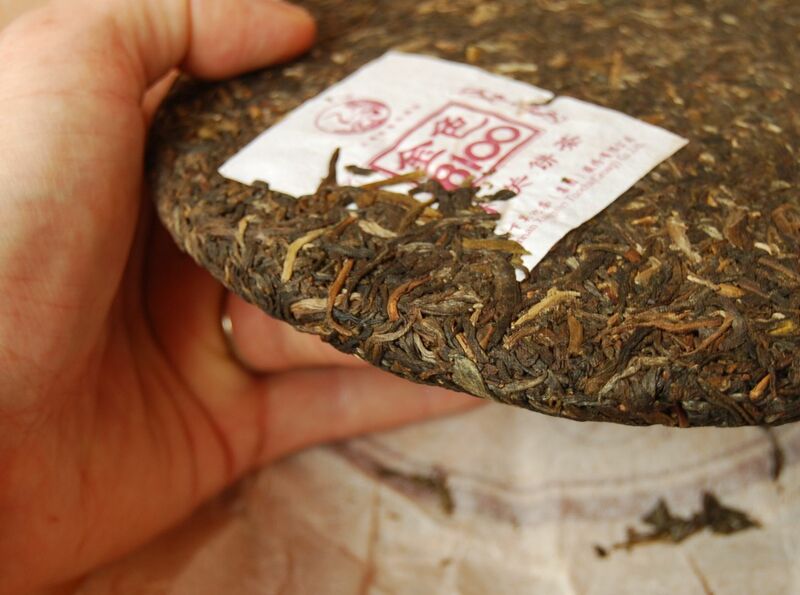 It's wise to be wary of new recipes created during the pu'er bubble. As you can see from the photograph above, it's heavily compressed. The leaves look rather nice, being small and they're not too dark. 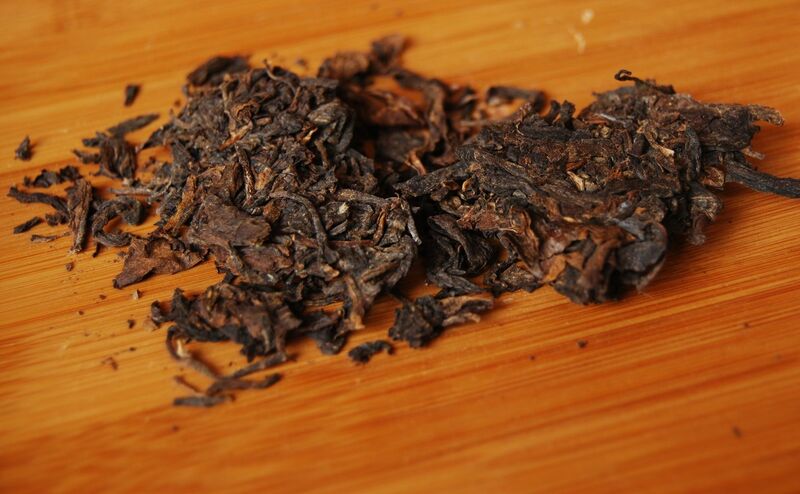 This may come as a shock to you, but this Xiaguan cake has a smoky character of dark tobacco. Who would have thought! I am finding it increasingly hard to separate out the various Xiaguan profiles, as they cover the full spectrum from "light tobacco" to "dark tobacco", with more or less floral/sweet/fruity character in each range. It's decent enough for its rock-bottom price, and I don't want to over-analyse something that is clearly disposable and humble. It is sweet, with some straw, and plenty of the usual smoky tobacco at the finish. In this price-range, I'd stick to the standard Dayi recipes, but that's just me. This has its sweet, tobacco charms, but does not leave the realm of the simple. I really need to stop buying Xiaguan specials for a few years - perhaps a few of the traditional untreated tuocha will be the exception. Many thanks to RJo'C and Jamus for samples of this cake. 2008 Shuangyi "Bulang zhi Xing"
This is the last Hailanghao cake produced before the company went off the rails and started crashing into the fields, in my opinion. 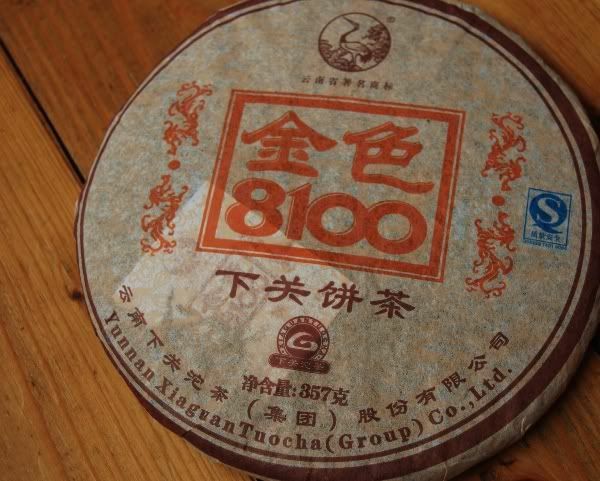 The 2009 cakes have entered the price-range of Xizihao, Douji, Chen Guanghetang, etc., but just don't have the quality to back up the prices. This cake is from 2008, when prices and expectations were lower. I used to enjoy buying Hailanghao cakes for this reason - they weren't going to break the bank, and they were often good fun at the least. 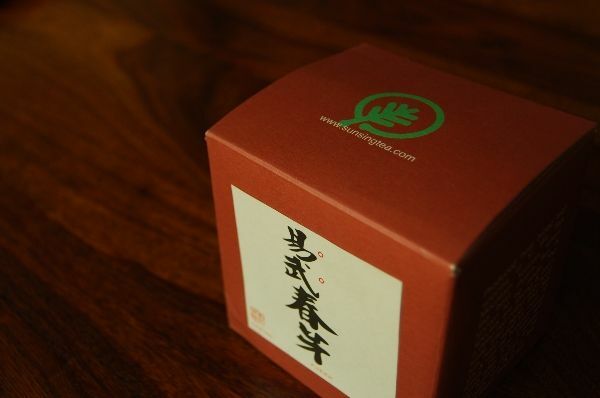 So, for me, this joint production between Hailanghao and the Shuangyi Tea Company marks the end of an era. Actually, just looking at the cake, I can't see any mention of the Hailanghao brand or the Mingxiangyayuan tea factory. The product page at Yunnan Sourcing, where I bought this cake for around $24, indicates that it was pressed at the Shuangyi factory. It's not like English is an unspoken language in China these days, with every schoolchild over the age of 8 years having to study it. How such neifei as shown above still continue to be printed is mystifying. Sure, not everyone is reading Shakespearean sonnets, but still! The cake's name is "Bulang zhi xing", literally "Bulang's Star". 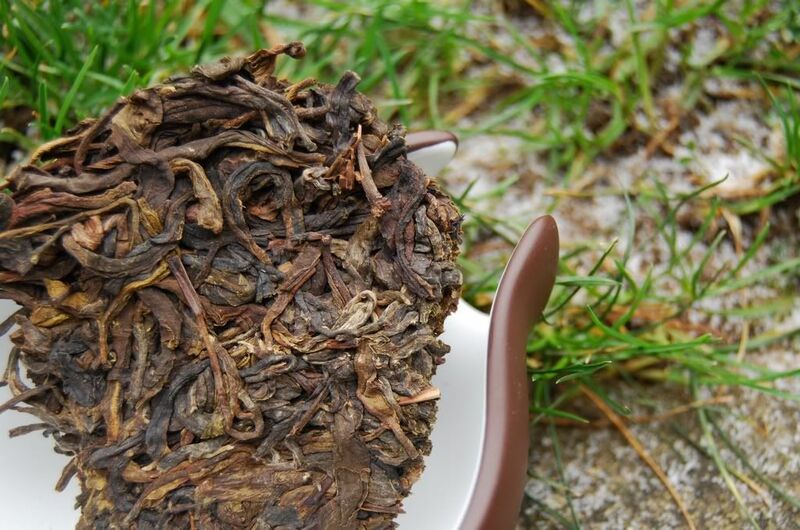 Perhaps this doesn't come out in the photograph above, but the leaves have a distinct red-brown hue to them, which is indicative of (you guessed it) some sort of interesting pre-shaqing oxidation or longer-than-required shaqing cooking. The soup is dusky orange-yellow, and it has a normal sugariness about the aroma in the wenxiangbei. No surprises so far. This is like a slightly more nutty, slightly more sour version of a modern Xiaguan special production. It has the same smokiness about it, it has the same tobacco in the finish, it has the same limited, constrained character as if it's teeth had been filed down, and it has a similarly decent thickness. It's an inexpensive tea. If you're looking for a nutty version of Xiaguan, then this might suit you - but beware its sourness. After six infusions, it collapses into generic sweetness. It's very much an unassuming "daily" tea, and I'm secretly regretting being too hasty in my purchase of this cake. KC has been spoling us with great tea. This 1990s version of the 8582 should prove fascinating, as it is one of my favourite Menghai recipes. In my bizarre Dayi family hierarchy, I liken 8582 to the second daughter. This is a shicang [wet store] example of the large-leafed Menghai classic. Sure enough, the dark leaves are large fragments of large "8" leaves. 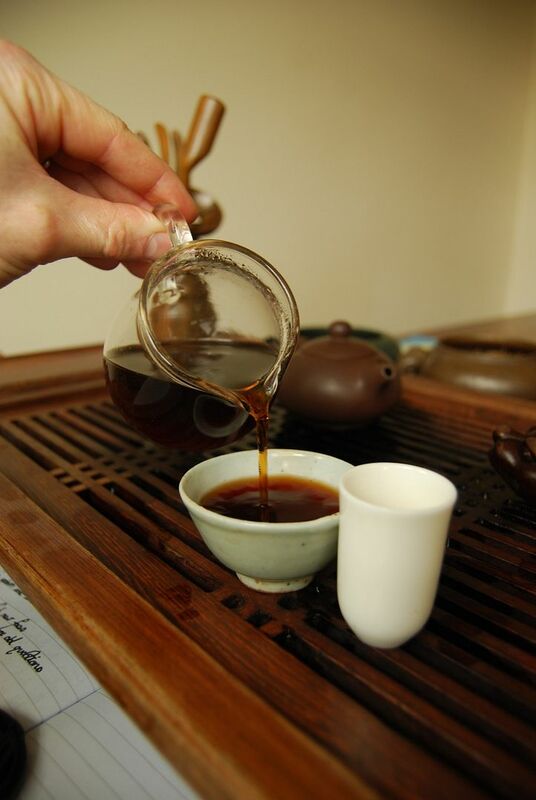 The aroma is pure, energetic shicang. 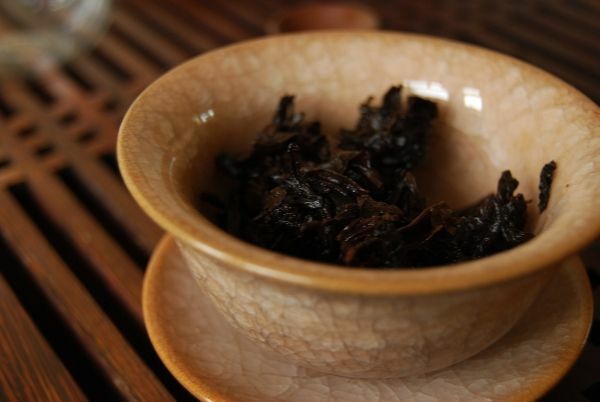 Some of the leaves remain red-brown, particularly the huangpian [yellow flakes], which typically get left in this recipe. I have been adopting the habit of drinking aged tea at the week-ends, when time permits me to give the tea the attention that it deserves. 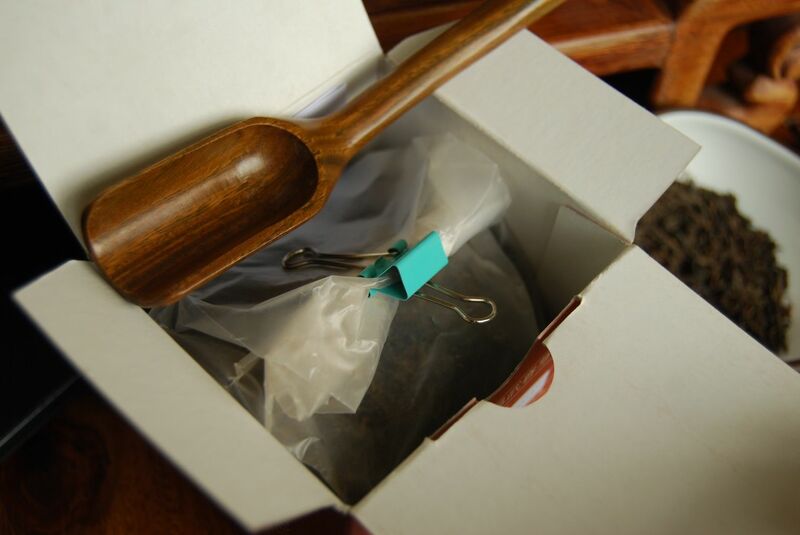 This makes the sessions even more precious, and teas like this one kindly provided by KC really make our week-end. 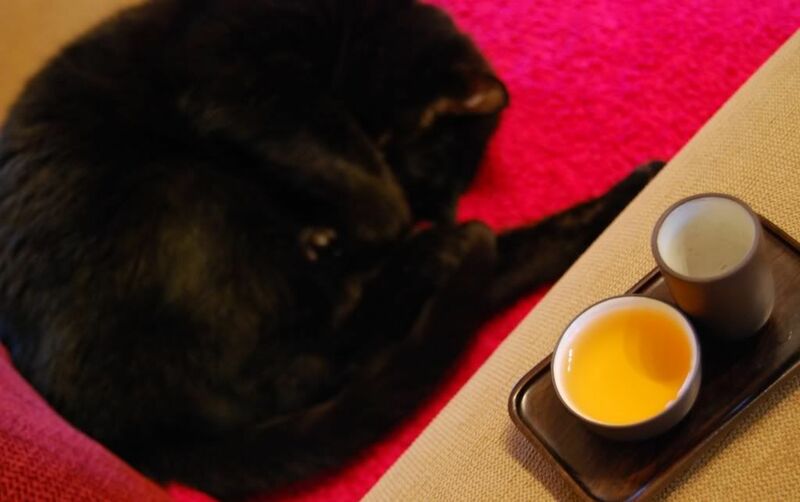 It's a sincere treat to kick back with a lovely old tea after a busy week. The soup is solid amber, and it rapidly adopts the flinty shicang character that I love so much. It is surprisingly tart, however! Lei notes, "It is very strong at the back of the tongue, to the sides - the feeling of having something that is particularly sweet." The 8582 elegant sweetness has been emphasised over time, and it's highly enjoyable. 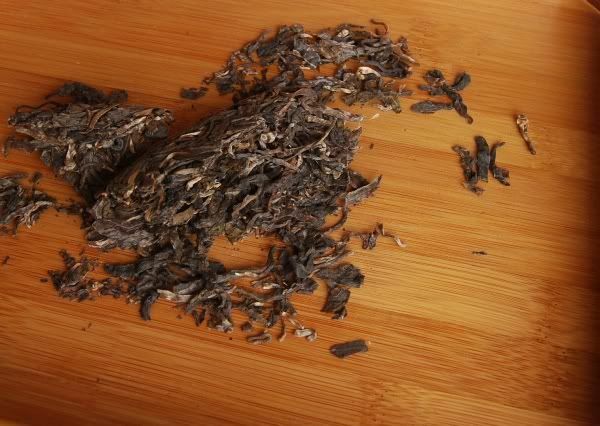 It has the remainder of the kuwei [pleasant bitter taste] from its youth, indicating that it still has a way to go before it is "old". Perhaps a little emptier than some aged classics, I wonder if this is due to the shicang. Either way, it was a sweet, woody treat and an education to behold. 1989 Menghai 7542 "89 Qingbing"
It's time for some serious tea today. 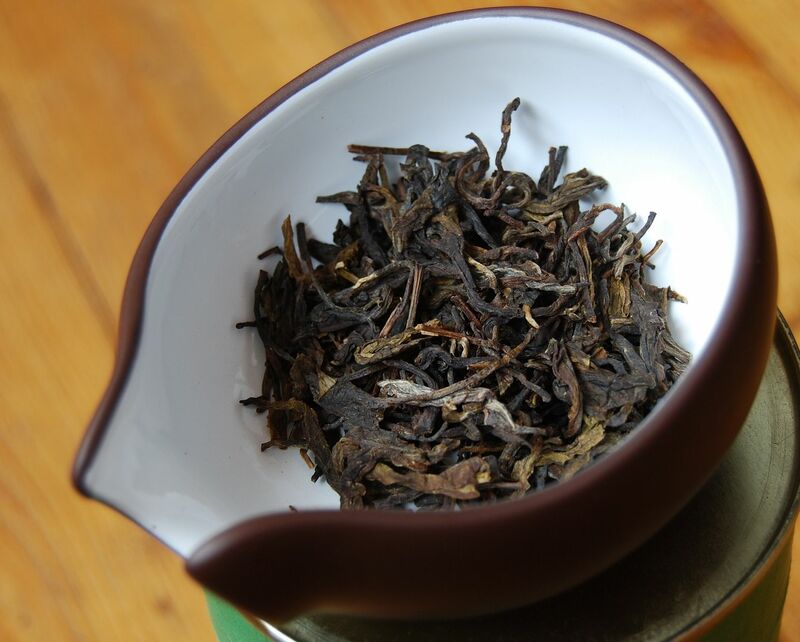 This is the "89 Qingbing", which has been through some light shicang [SHER-TSANG, wet storage]. Very many thanks to KC/sp1key for the opportunity to try this classic. 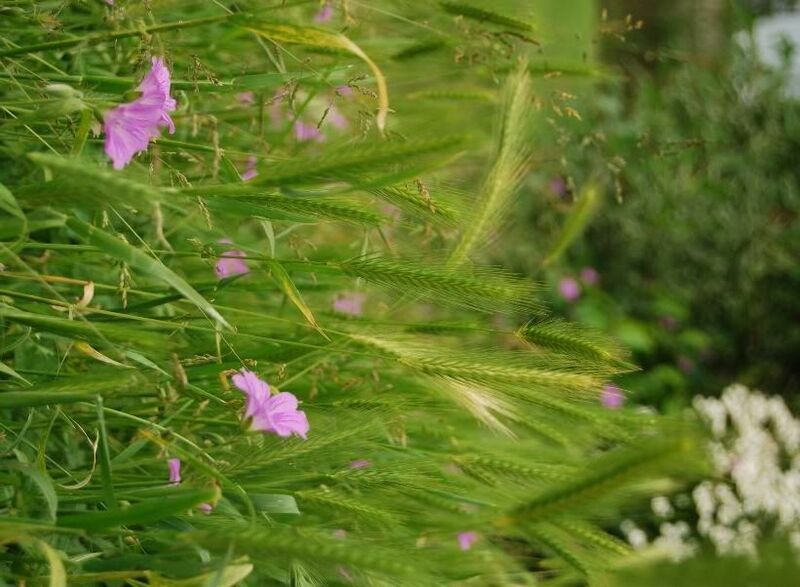 You can see the results of shicang in the above photograph: the leaves look a little grey and, if you click to enlarge the photograph, you can see that it is covered in tiny specks of mould. 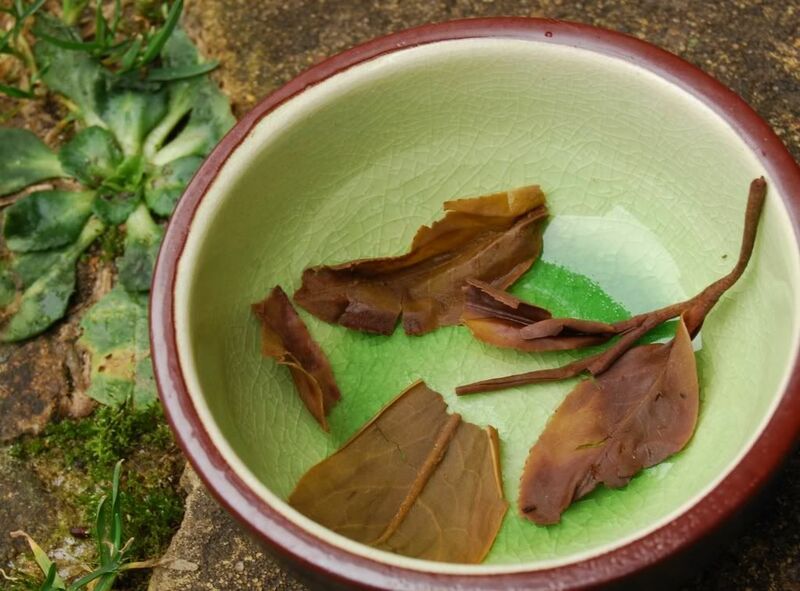 This frightens away some people, but I love shicang - give the leaves a quick rinse in boiling water, and I'm set for a highly enjoyable session. The rich, red colour and its accompanying yellow meniscus remind us that all is well. 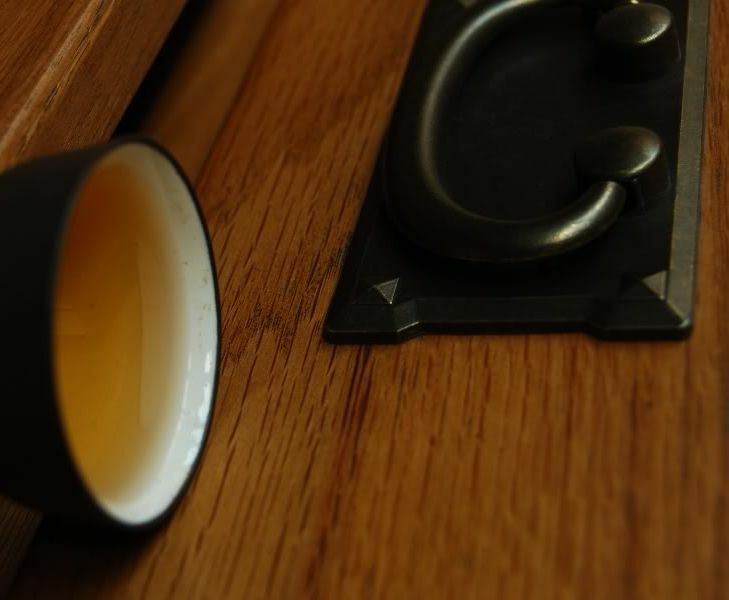 The scent is vanilla and wood, although it fades rapidly. 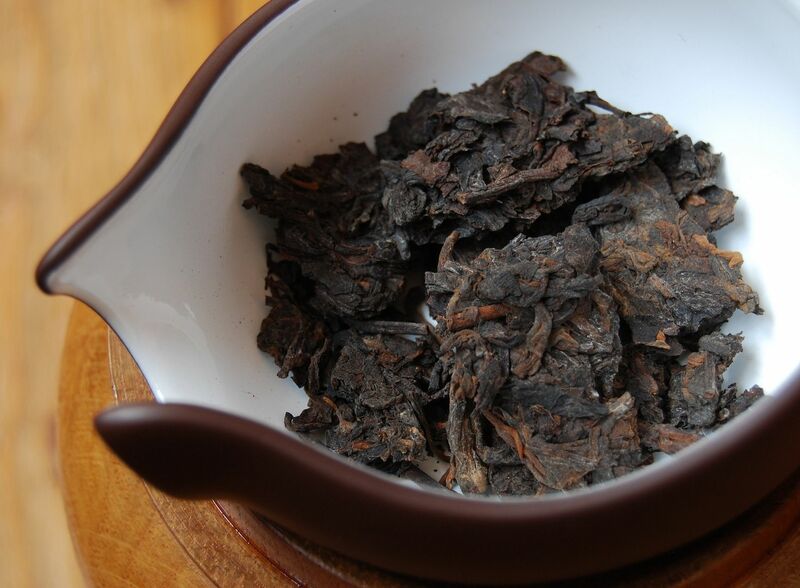 As one might expect with shicang pu'er, it has a slightly particulate, powdery texture. I like that, but it's all part of the shicang package. For a 7542, this is surprisingly sweet. After two just cups, it is highly energising. The flavour rushes to the back of the tongue, and there sounds a long note of charming sweet vanilla. It has a loose, watering feeling, with a certain emptiness in the centre where one might otherwise hope to find complexity and solidity. I wonder to myself if this is because of its storage conditions. However, it ends so very sweetly that all is forgiven. At the back of the throat lingers the flavours beloved of all those who enjoy 7542, and these continue to resonate in a huigan that seems eternal. 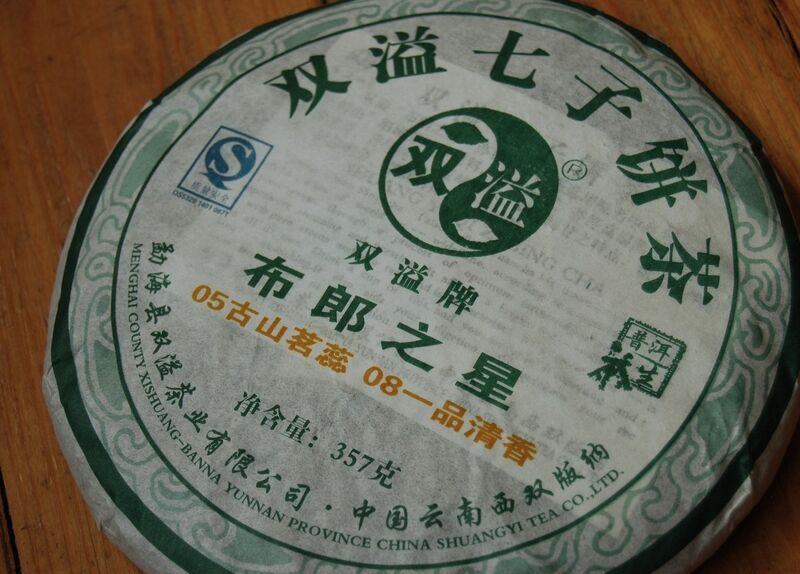 Still pleasant and with that vanilla note from light shicang, but not complex. While it lasted three days of background brewing, it rapidly required long infusions, indicating a lack of stamina. Sometimes, things just aren't what they're supposed to be. These poppy pods, for example, are supposed to grow up into lovely poppies. 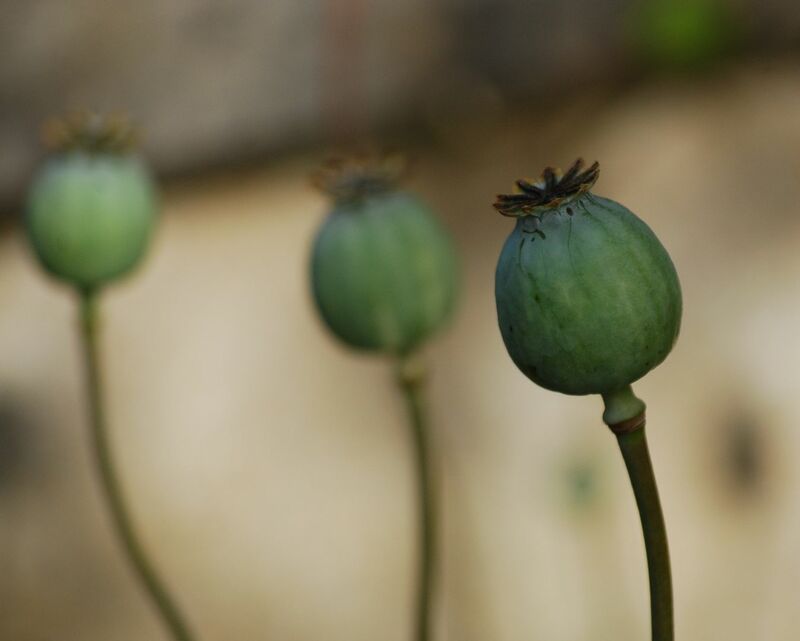 If we score the skins of the pods, however, we can extract a latex fluid and obtain opium. 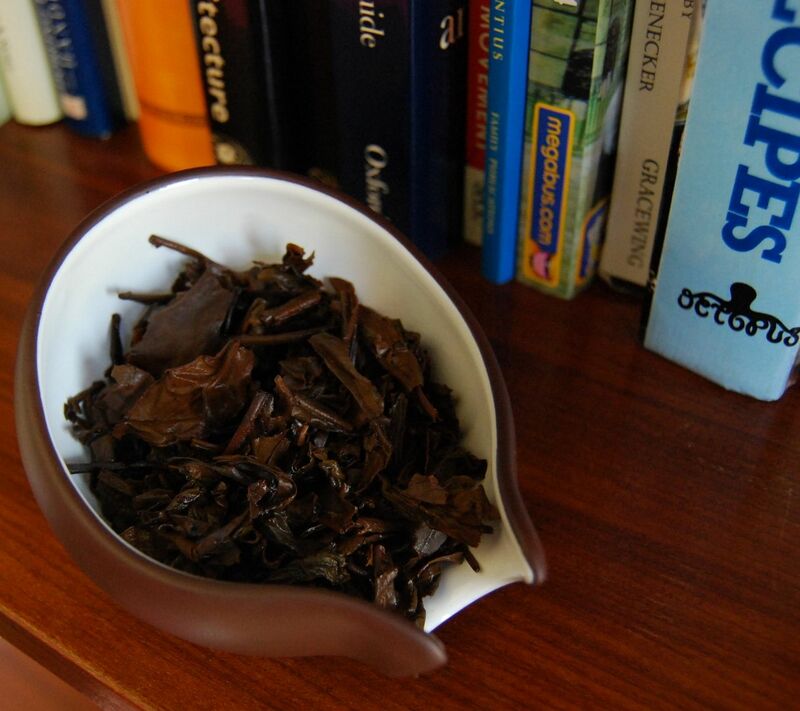 Similarly, an old tree should be giving great maocha. If I had access to such leaves, I'd be making some interesting cakes - assuming that the leaves result in palatable tea. 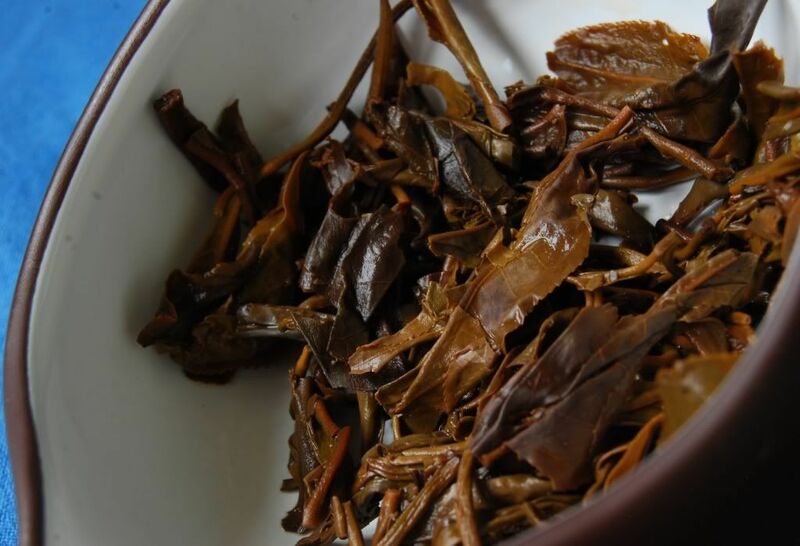 Most people will tell you that leaves from completely wild pu'er trees are unconsumable, being far too bitter, and that complex "old tree" pu'er typically comes from feral trees that originate in ancient tea-farms. This maocha, kindly provided by KC/sp1key (thanks once again!) 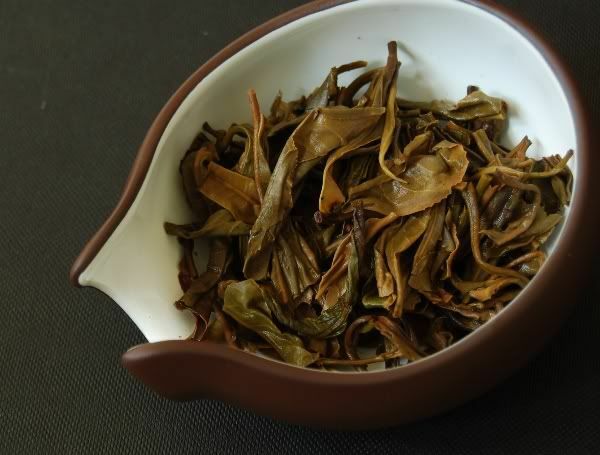 is a yinhao [silver-bud] tea. My prior assumption is that the tea will be creamy, courtesy of the tippy leaves, but also rather constant. The blend is two-tone, as you can see. It is divided almost 50-50 between tips and very dark basis leaves. The aroma is very quiet, just like yinhao. The brew turns out to be gentle, sweet, and creamy as one might expect. 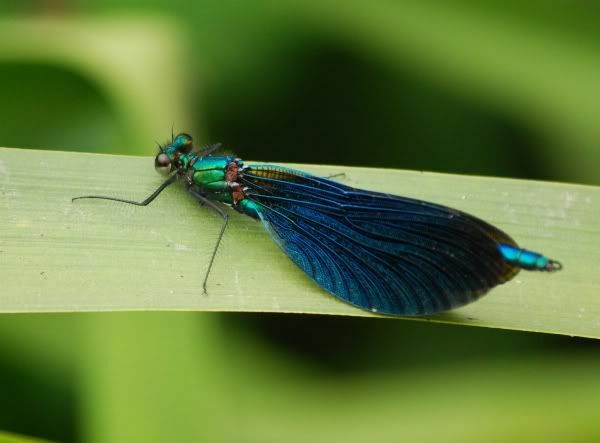 It is very clean, and very delicate. It soldiers on, giving creamy, sweet brews as long as you can to infuse the leaves. The wet leaves reveal that the dark leaves are immensely brittle and dark red, having been heavily oxidised prior to cooking. The blend tastes as one might expect given the above photograph: husky hongcha with sweet creaminess atop it. I'm very grateful to KC for the opportunity to try this maocha. 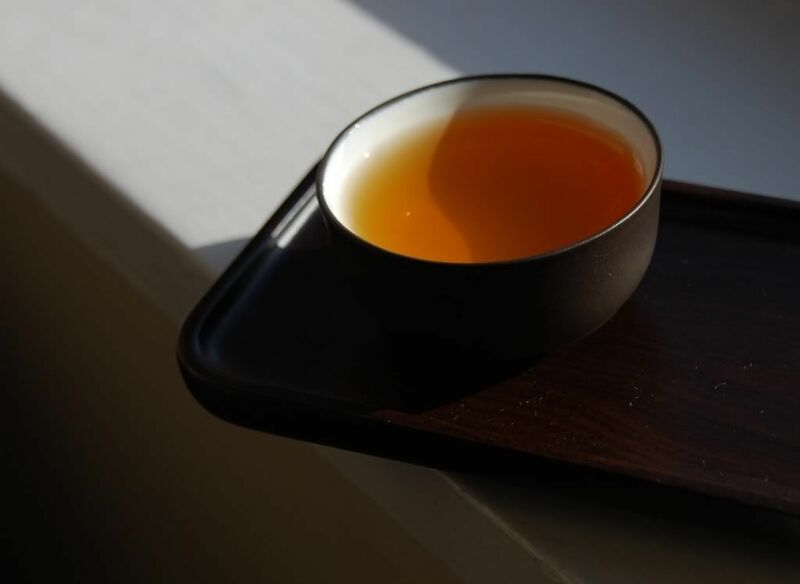 Even though it's not really my cup of tea, and I haven't yet encountered a yinhao that really captivates me, I take great delight in trying teas across the full spectrum. GV has been too kind to me - far too kind. 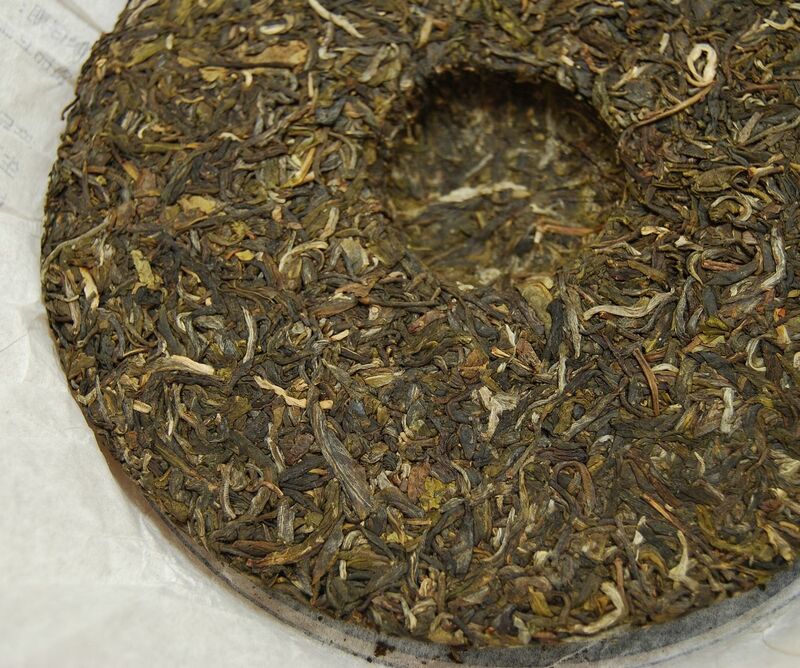 This is an entire box of 1986 Yiwu "Chunya" [Spring Buds] from the well-reputed Sunsing teashop in Hong Kong. What a magnificent treat this tea has turned out to be, a parting gift from when we met recently. The maocha blend is ubiquitously small - it looks very old-fashioned, and I mean that in a good way. 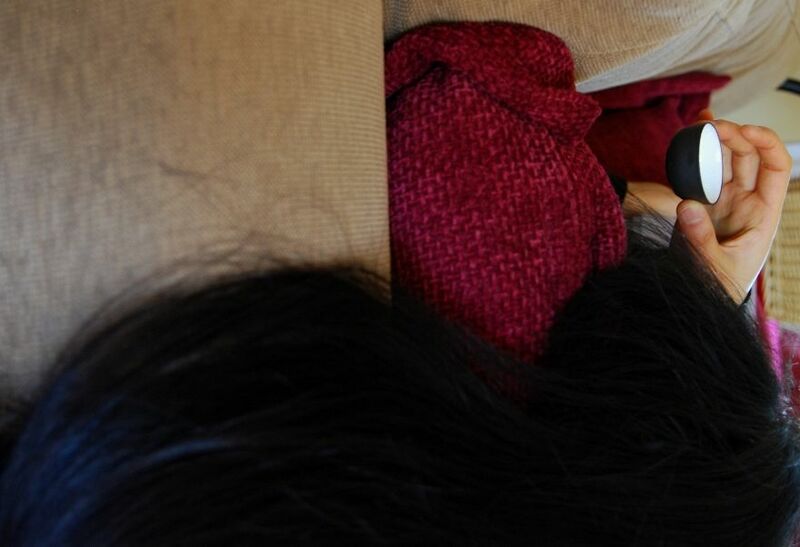 Taking a look at the image below, we can see that they are husky-chocolate in colour. After the passing of some fairly serious deadlines, I am relaxing with a session of this as a treat on a Saturday morning, when I can give it the full time and attention that it deserves. 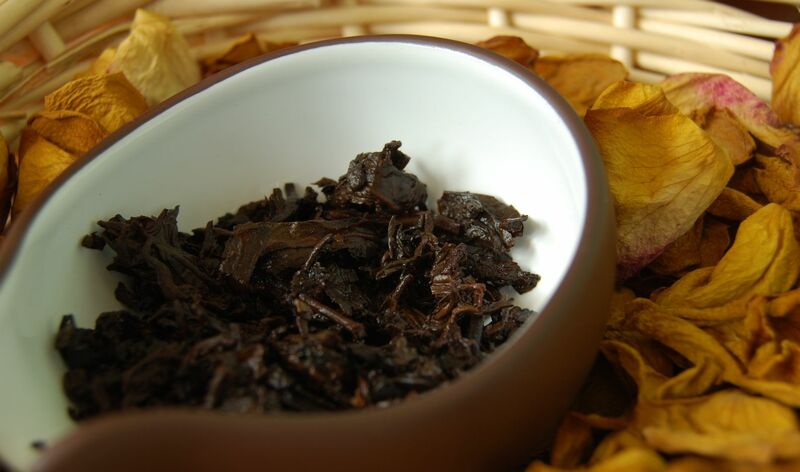 The wenxiangbei is filled with scents of spiced wood. The photograph below shows the deep burgundy colour of the soup, which fades to yellow-brown at the miniscus. 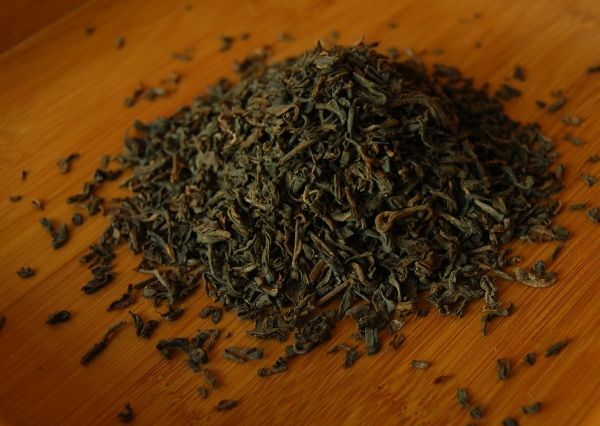 The flavour is superb: it has a gradual, dense character than adheres to the tongue and fills the mouth with a long huigan of creaminess and dark wood. It has excellent endurance in the mouth. 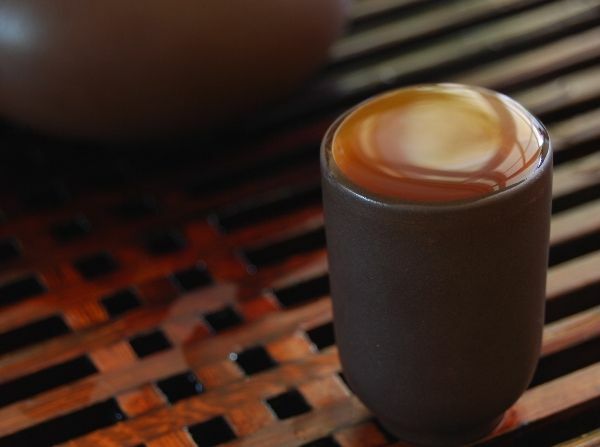 The huigan is so significant that it becomes impossible to take sips in rapid succession: each sip has such a lovely, wooden huigan that it must be allowed to develop fully in the throat after swallowing. This is a tea for when times are slow and the heart is calm. 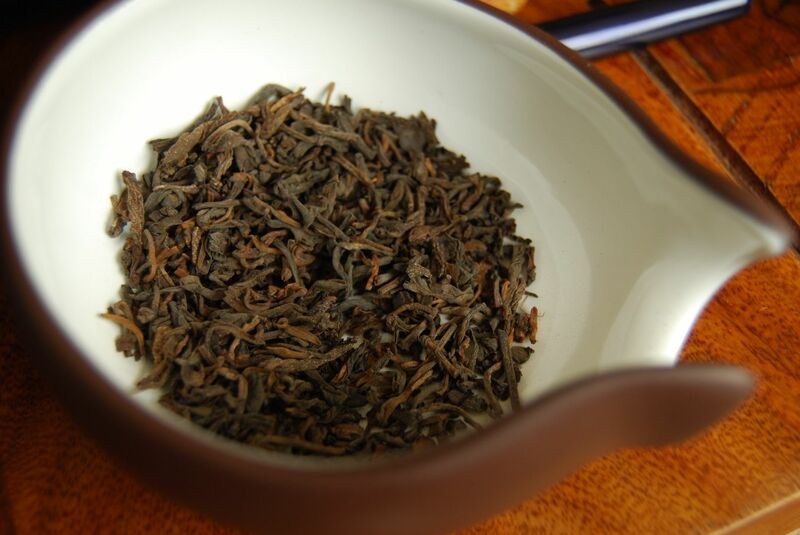 Later infusions swell into a sweet-vanilla character that makes me glad to be aware of shengpu. The leaves last me a further day of constant infusion in my office, until they are exhausted and delivering a sweet, pale yellow brew. My hat is off to GV - an entirely excellent gift, and a wonderful Saturday. I last drank this in 2009 - after five years, it will be an interest revisitation of a tea that is now seriously old. 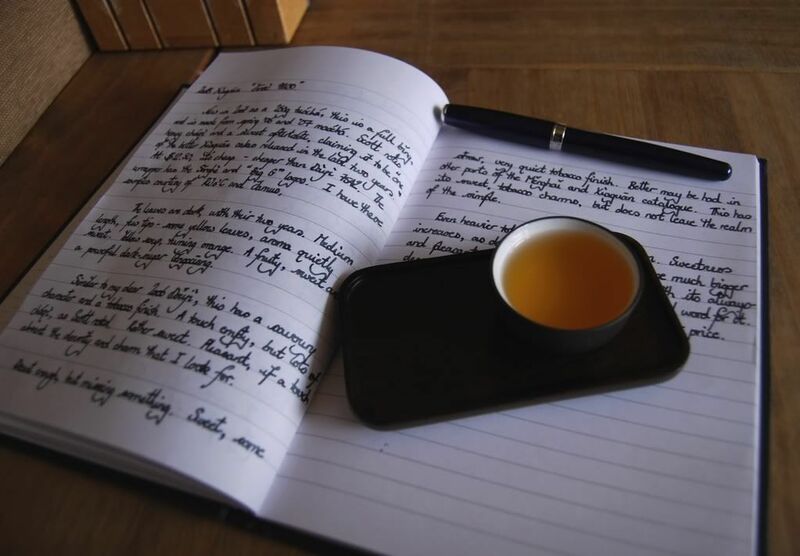 So long ago was the last time that I enjoyed this tea, that the photograph above shows that I was writing in a leatherbound, unruled diary of the kind that I have not used in a long time. The dark little leaves, as you might be able to discern from the photograph above if you zoom in (by clicking), have "jinhua" [golden flowers]. These are crystalline formations on the surface of the leaf, and I did not notice them before. 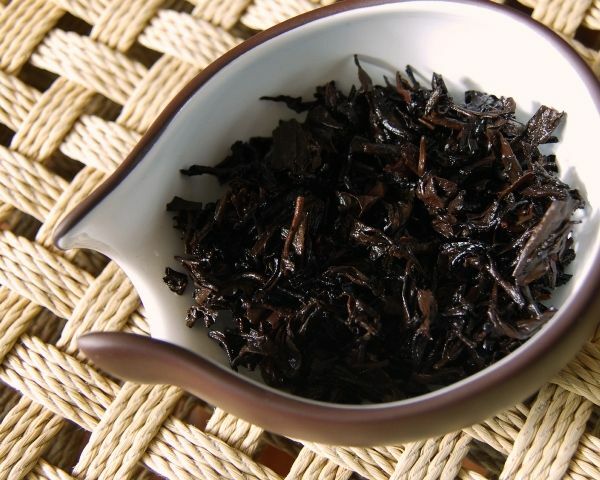 The thick, black tea starts off quietly in the first infusion, but then rapidly accelerates into a thick, gloopy tar-like substance that packs a strong finish. 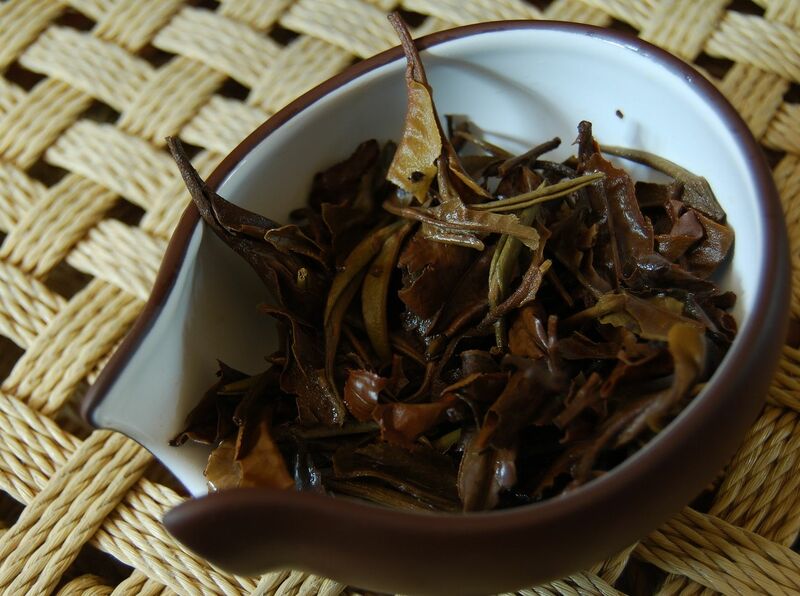 As the infusions pass, and the leaves develop, a comforting scent of vanilla accompanies the flavour of humidity. 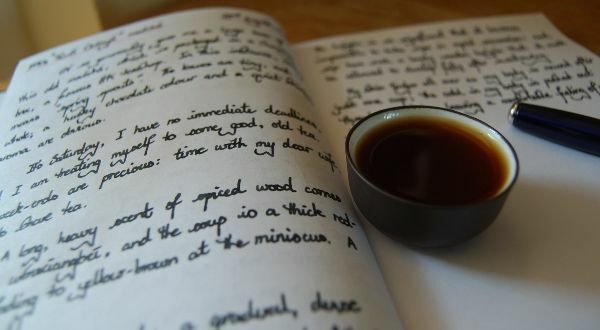 I have to cut the session short to run off to an unforeseen commitment, but, so good is the tea, that I drink it for sessions over the next two days, during which it remains potent, thick, and enduring. 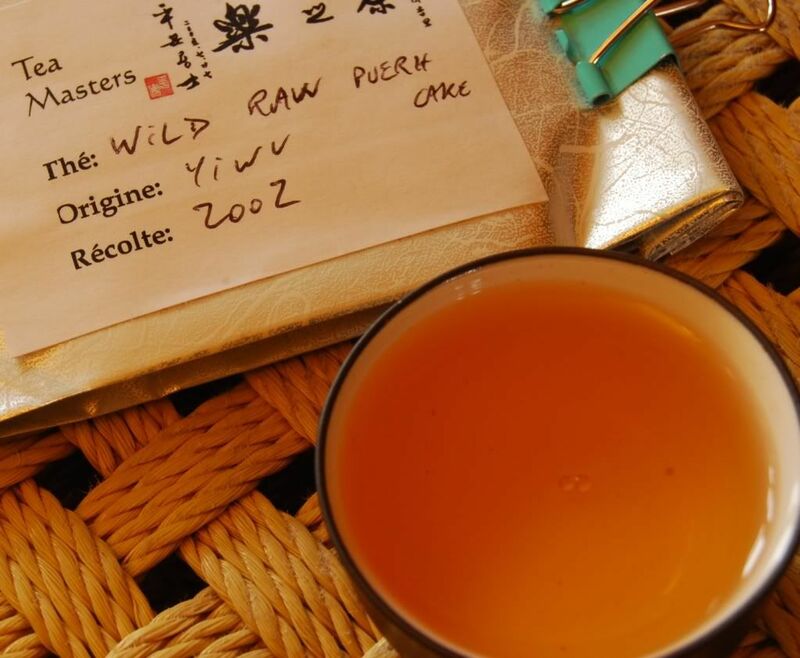 I am impressed by the sheer longevity of this tea, and leave it brewing in the background, in a little gaiwan, by I brew other teas in Zidu, my teapot. This is a fantastic tea and, if Sunsing still sells it, you would be well-advised to acquire some. 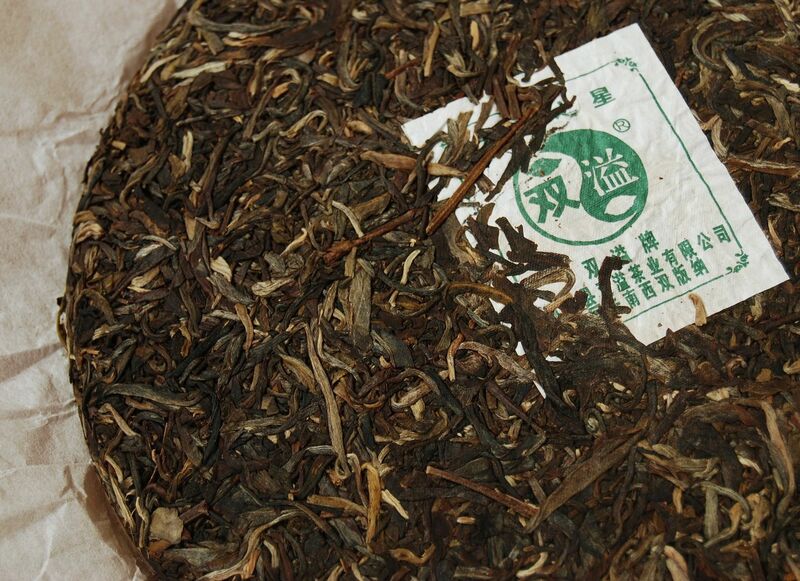 Teamasters sells some nice pu'er - however, I can't usually get the prices past the budgetary committee of the People's Republic of Lei. Here's a sample that the PRL accepted through its stringent customs control. This is an attractive tea. The leaves, shown above, are beautiful and long, yet black. 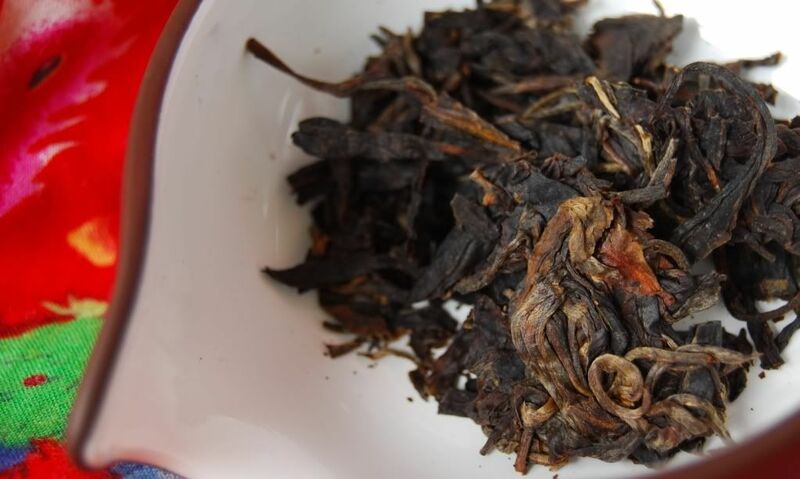 The huangpian [yellow flakes] are starting to turn orange - it's often interesting to consider the colour of the huangpian and tips, because it seems that they're less easy to cook/oxidise into looking mature. This turns out to be a straight orange colour, as you can see. 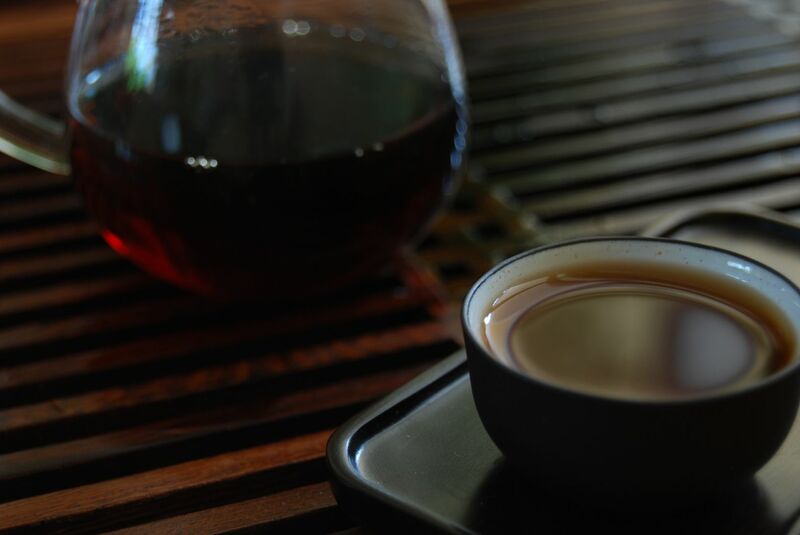 In the aroma cup, the expected sweet darkness of 7-year-old Yiwu. 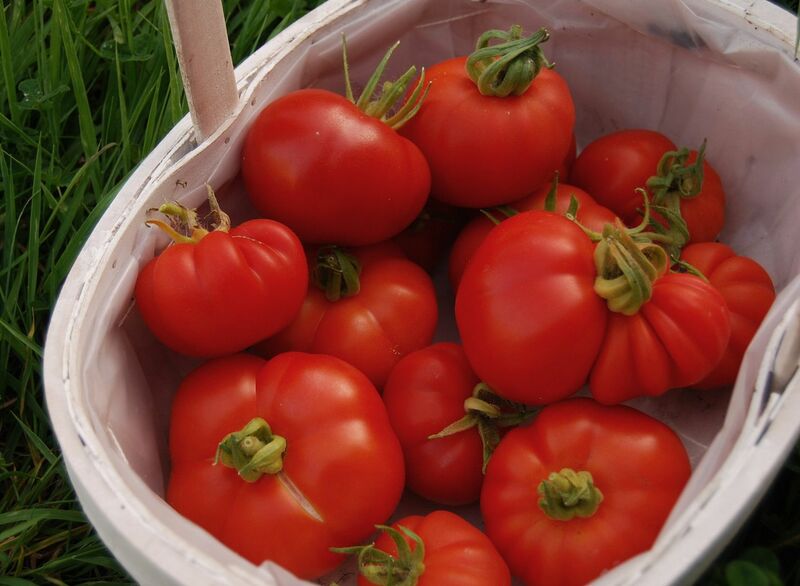 In the mouth, it shows a highly vibrant, thick body, with a fine cooling sensation. 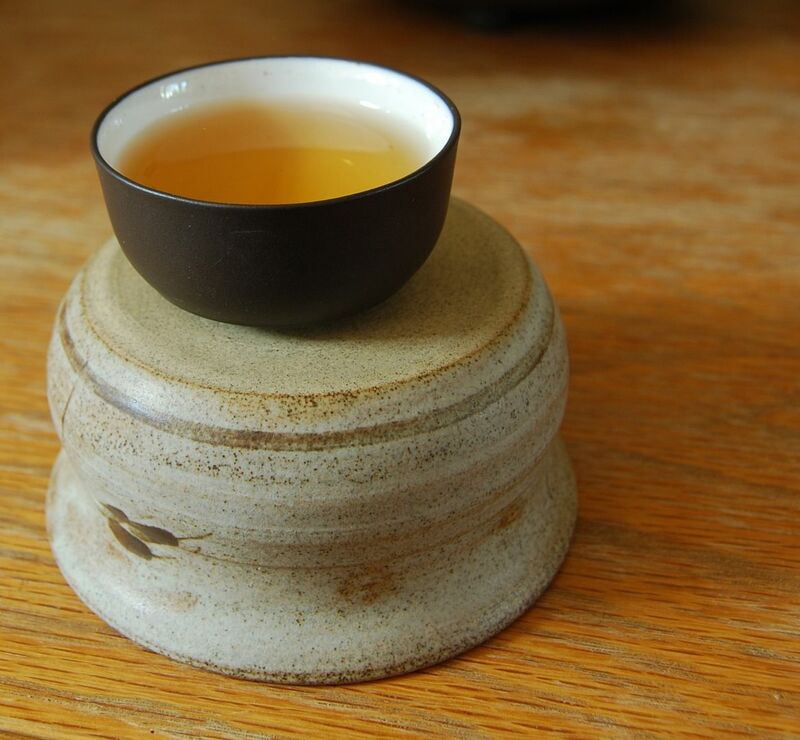 It has plenty of maltiness, which feels a little artificial - it even reminds me of the hongcha made from wulong leaves that Teamasters sells. Unfortunately, this red tone seemed to dominate the proceedings and, as with many red pu'er, it didn't develop and seemed a touch one-dimensional. The colours of the leaves are a mixture of natural-coloured and more oxidised. 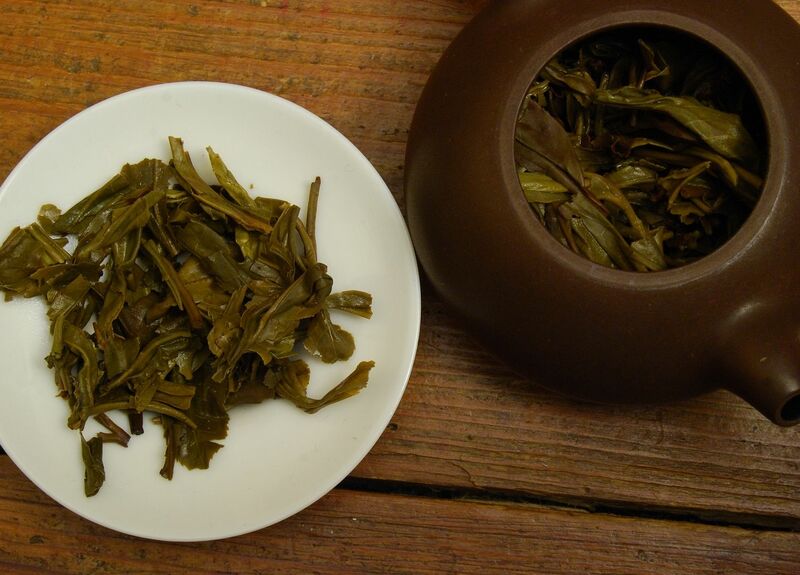 Like many red teas, it's also almost impossible to overbrew. I let it sit for whole minutes, and the result is largely the same. By the sixth infusion, I am having to overbrew in order to get much out of it. 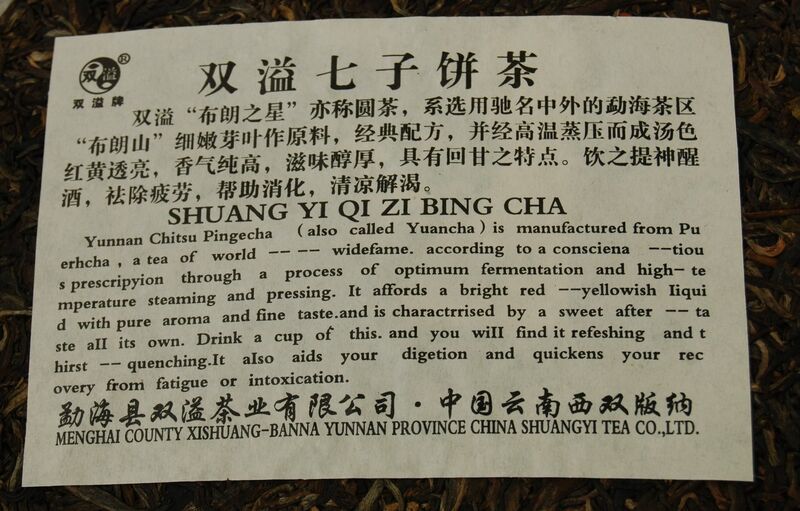 It starts well, with a great feeling in the mouth, but I'm naturally biassed against this kind of pu'er, I think. "Different strokes for different folks", so they say, and I have to admit that this one didn't really tickle me, unlike, for example, some of the Lincang cakes from Teamasters. Better luck next time, Hobbes. 2008 Xiaguan - FT "#6"